Technology has made a significant impact on all our lives. And it continues to grow and change every day; it’s just incredibly challenging to keep on top of all the latest offerings. Just think about the advances that have been made in the medical industry alone with surgical techniques and software applications that hold databases filled with medical information that can analyze symptoms and report on the best possible treatment options. Technology has also turned the world of accounting upside down as well. Accounting is akin to a universal language; there just aren’t too many ways to perform basic math to come up with total assets and liabilities. Generally accepted accounting principles (GAAP) also help to ensure that the world of accounting has a standardized method of reporting. 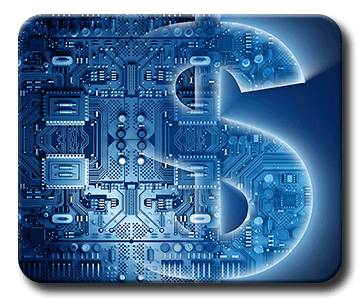 So, let’s take a deeper dive to see how software has impacted the financial world. Profitability margins, tax preparation, budgeting, forecasting and the development of financial statements all have multiple software applications that are faster and more accurate than an “old” accountant could have ever been. From an educational perspective, teachers and students alike don’t have to spend as much time learning the very basic issues. That allows educators to focus more on strategic planning and forecasting, which is a very meaningful part of the industry that involves more interpretation of the numbers, rather than the actual numbers themselves. With software comes a greater need for basic computer skills, which these days most youngsters already have before they enter elementary school. Listing all the available applications today would be an unreasonable task; however, we can review a condensed listing of some of the types of applications that are available and have an impact on accounting. Forensic accounting is more critical today than ever before. Can you say Enron? Along beside the world of accounting and technology, the land of fraud has grown and become more sophisticated as well. Reviews, assessments and investigations by accounting experts has experienced incredible advances in financial statement audits, money laundering and embezzlement. Each of which are more readily identified and interpreted with the use of technology. Enterprise resource planning (ERP) has changed the way that accountants interact with other departments in business. They now have the ability to differentiate between all departments and report on the specific contributions made (or not made) by each area of the organization. All of which allows for faster and more informed decision-making for senior management because they have a clearer view of the big picture. The Sarbanes-Oxley Act (SOX) of 2002 and its impacts on finance, internal controls, and auditing can’t be left unstated. SOX was the first effort to detect and prevent business fraud since the stock market crash of 1929. The act made both the chief executive and financial officers personally accountable for a publicly held company’s financial reporting. It also forms the engagement of accountants, internal and external auditors into a more cooperative and collaborative effort that aids everyone in the insurance of accurately stated financial reports. With much more detail involved in the act, suffice it to say that SOX has had an enormous impact on the publicly held business world. And the former “bean counters” overnight became valuable partners in the executive suite. Supply chain management (SCM) applications have improved communication lines between buyers and seller, which has optimized manufacturing efficiency and delivery channels. SCM has an even greater significance because it crosses and combines data from more than one organization, such boundaries have never before been broken. Decisions are no longer made based on what you think may happen or how they will impact the people involved in the organization; they are based on data. Numbers don’t lie, and while there still may be an element of interpretation involved, the right data can be available at the right time to ensure the right financial decisions. Executives understand how vital accurate financial reporting is and how it can be an essential component to improve performance and increase shareholder wealth. Although technological advances have substantially changed accounting, we still need humans to initiate change and ensure operational integrity. There will forever be opportunities for increased organizational growth as well as painful downsizing and combining of duties to achieve greater efficiencies. Some may think that technology has removed the human element from business and perhaps it has; however, it is most certainly clear that failure to keep up with current technological advances and the quest for becoming more and more efficient, puts you at risk for being put out to pasture.